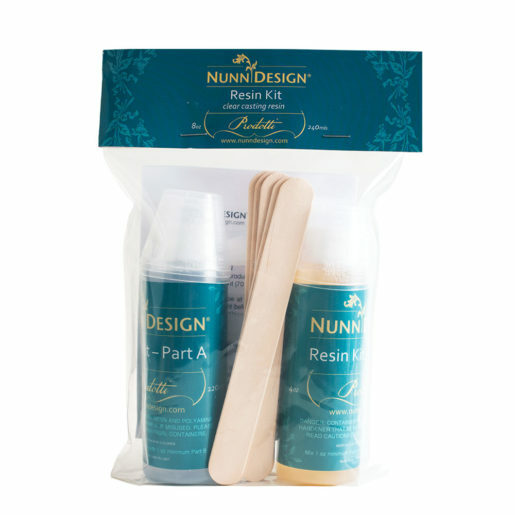 The Nunn Design® Resin Kit contains one 4 ounce bottle of clear epoxy resin, one 4 ounce bottle of epoxy hardener, two precision tips to screw onto the bottles, five mixing cups, five mixing sticks, and printed resin instructions. 2-part resin must be mixed and allowed to cure for 72 hours. 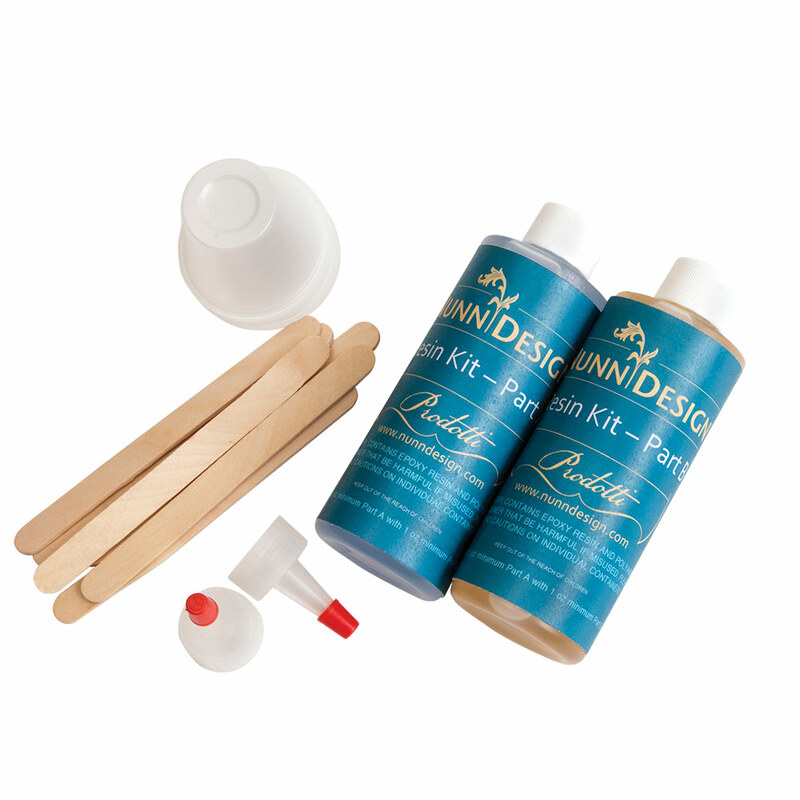 This is an economical jewelry finish that works well for production. Embed an image, an object or anything you can imagine for a very unique, one-of-a-kind finished jewelry piece.